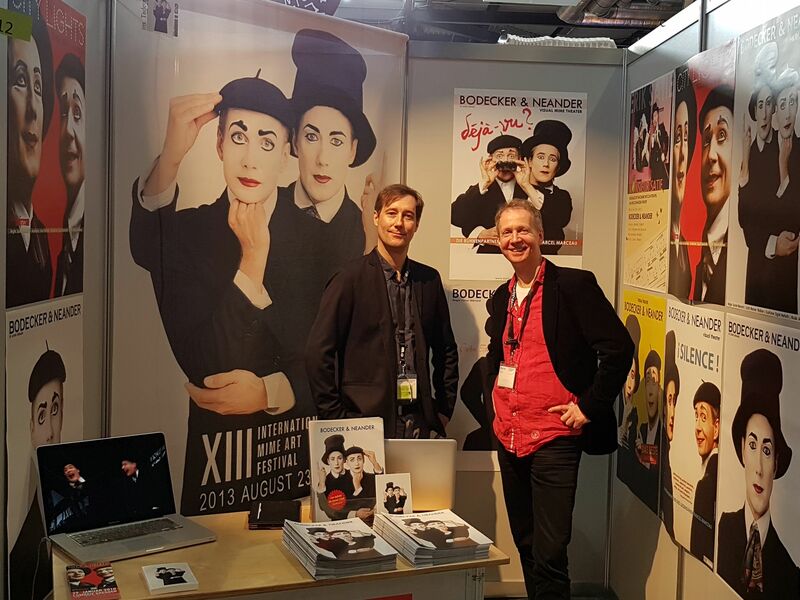 around 180 live performances from theatre, varieté and gala, cabaret & comedy, jazz, pop & rock, world music, dance & performances, business-theatre and street theatre. a trade fair with approx. 350 exhibitors ranging from event agencies, agents , technical support and services in the event sector, organisations through to special media. 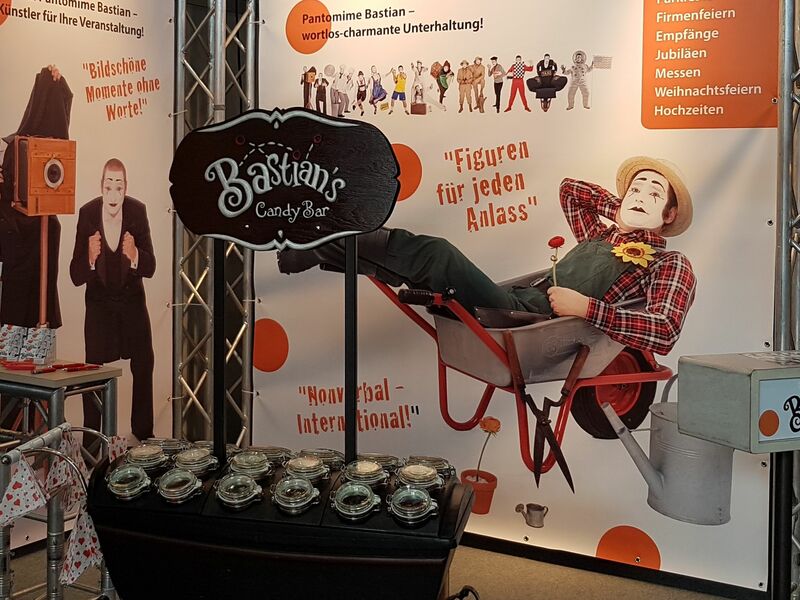 Experience the professional pantomime Bastian with over 22 years of experience at your event. As a solo artist, with his partner PAN or with his complete pantomime ensemble, he offers a versatile show program for a variety of events. Whether in a classic outfit in a tuxedo or with a suitcase or as one of the numerous figures he has developed – in Bastian’s repertoire you will definitely find what you are looking for. With their visual theatre, Bodecker & Neander carry the audience to the country of their desires, to utopia. Two travellers between these worlds prove to be faithful guides who guarantee all sorts of theatrical, earnest adventure. We meet a world-famous pianist who has much to learn from the man turning the pages of his musical score. A simple music lesson turns into a nightmare. The lights go up and an elegant man rushes onto the stage. He sits on a chair. Then expressions, emotion, rhythm and an empty space depict the story to be told with the paintbrush of the invisible. Welcome to the realm of your own imagination ! But where are we ? In a theatre… a theatre that needs no set and no words, only the body, an enthusiasm for acting and the consummate art of transformation. “Visual Short Stories” – what you don’t hear you see, and what you don’t see happens in your head ! 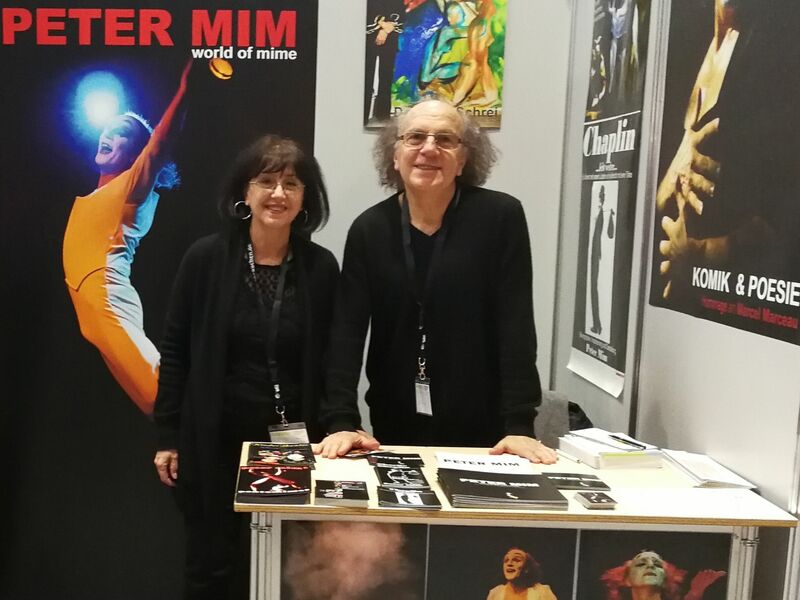 “Duo Mimikry” is visual comedy, dance, mime, satire, acting and everything else at the intersection of comedy and theatre. The principle is simple: the two actors tell us stories, and whether that story is about a funeral parlour with a shortage of customers, or a post-modern re-make of Rapunzel by the Brothers Grimm, complete with 3D special effects, you would never have imagined that mime could be so modern and able to make you laugh or move you so much. 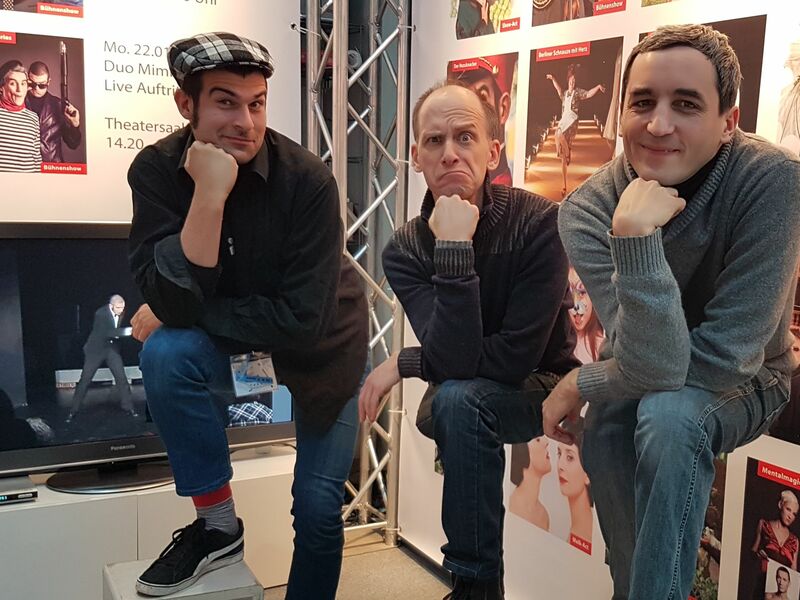 “Duo Mimikry” is Nicolas Rocher and Elias Elastisch, two modern actors who for several years have been treading the boards internationally with shows that can be understood in any language – without uttering a word.